The Concept Of Working From Anywhere And The Freedom Of Mobility - Part 1. I have always nudged young and budding developers to try and turn themselves into one man armies. I have also often gone ahead and said that a good programmer is formed when, as they say in martial arts, the warrior and the weapon become one. In a recent conversation with a young and budding programmer regarding how most office environments are nothing more than cubical farms for breeding incompetence, I stuck to my point, that most awesome programmers who know what they are doing will figure out ways to communicate and collaborate without needing a common physical location. They will find quite islands, homes, cafeterias and corners of the world to work from. They will continue to thrive even as more and more loud or lousy workplaces continue to get built around the world. The seriously kickass programmers will turn into one man armies and software cells that can function from anywhere and anytime. They will carry their weapons and most importantly they will carry their ability to become one with their weapons anywhere and anytime. 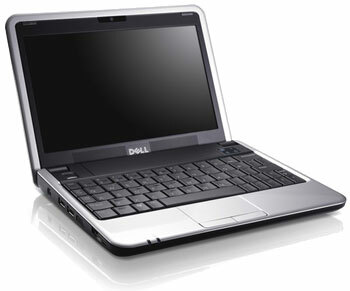 The Dell Mini 9, was given to me by eFORCE to try out when Netbooks first came out. I have had this thing for more than a year now and my assessment of it is that this is one rather peculiar weapon in the hands of a developer. When I say that the Dell mini 9 is a very different kind a weapon, what I really mean by that, is that Net-books by their very nature, screen size and keyboard layout are a very different kind of a weapon in the hands of a developer. To begin with they tend to make any developer worth his salt get a serious headache when you try to work on them. After a while, you start questioning the whole idea of working on a tiny oddly laid out keyboard and a tiny screen. It is purely because of this peculiar nature of these devices that the Dell Mini 9 practically sat unused for months lying at my home. I would occasionally use it to load and work on Ubuntu, but as far as practically using the device was concerned, I would cringe at the very thought of typing at the small keyboard and staring at the small screen. I used it so little I even managed to lose its power cable. It was not until recently that the idea of being able to work from anywhere and harnessing the power of mobility started getting discussed, that I thought I'd give the Netbooks another shot. The idea was to get a new internet access data card and use the Netbook to work from anywhere. Today is about my first day of seriously trying to work on the Netbook and things aren't really as bad as I had expected them to be. For starters, I am getting used to working long hours on the smaller screen and the headaches are starting to disappear rather rapidly. In fact, I am no longer experiencing those headaches and bouts of irritation anymore. The keyboard layout on this thing is slightly weird, but then I am getting used to it rather fast as well. I have a Window 7 Ultimate loaded on this thing, along with a couple of image editing software, windows live writer, Microsoft office and a text to speech converter so that I can proof read my blog posts. This would be my second post from the Mini 9 and as strange as it might seem, I am becoming one with this tiny weapon that lay unused at my home for months. On the work side, I tried remoting into a office machine and tried writing some code on the remote box. It was not as bad as I had expected either. It's definitely not the only machine you would like to have, but then, it is a very different kind of a weapon for a very different kind of an attack that every software programmer must learn. One major gripe I have with this machine, specially while programming is the position of the double-quote and a couple of other keys on the keyboard. Having said that, a little bit of practice and I think I might be able to get over these annoyances. The funny thing about these devices, specially if you can tune yourself to become one with them and use them productively is that you can exploit the heck out of them. For once, you could be writing code on a remote box located at a data center in California as you drive through the plush green pastures of India on a weekend vacation. No fear of denting an expensive laptop. No worries of wearing off the battery because of excessive use. Toss it in your bag, carry it everywhere with you, exploit the heck out of it and get work done like never before, from anywhere, anytime. Go learn the art of mastering tiny weapons, tune yourself to them and become much more productive. On a side note, for a detailed technical review of Dell Mini 9, see Scott Hanselman's post on the review of the device. I consider Scott to be a rather worthy maven of the software development world and his post on Dell Mini 9, to an extent, nudged me to try out my Dell Mini 9 again rather than letting it gather dust. I am happy it did. I will continue to post updates if my opinion on Netbooks changes again but for now, I am loving the idea of being able to carry these devices anywhere and doing some serious damage using them. What is your experience with Netbooks?